What impressions do you get when you look at this cover? 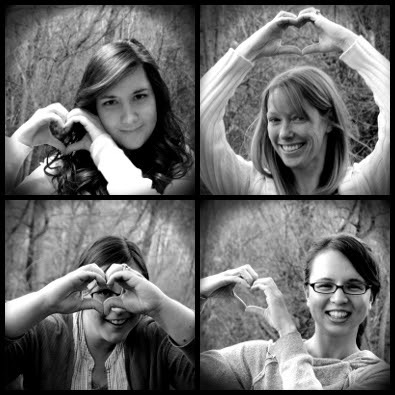 I see the girl first, front and center. Then I see the shadows and silhouette, a foreboding backdrop. But there is also a softness, a radiance, a light -- both behind the girl and drifting down from the top like snow. Last but not least, there is the elegant typography, for a simple and strong one-word title. After reading POINTE, I have to say, I think the cover perfectly encapsulates the story within its pages, and smartly translates the themes and tone into visual language. This is Theo's story. It's character-driven -- and no, that's not a code-word for boring. All it means is that we have a front-row seat for Theo's emotions, her internal struggles, and (eventually) her growth. She's a dancer, which is also reflected by the cover if you look closely at the details, like the bun and her dress. And she's haunted by several dark things in her past. 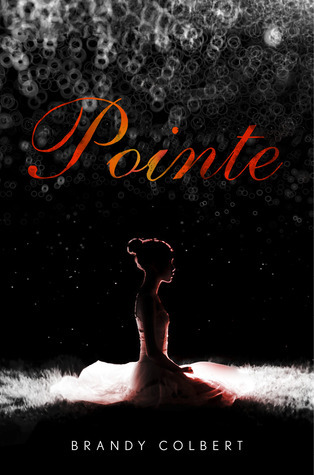 POINTE is a thoughtful, nuanced read -- one that everyone here at We Heart YA really enjoyed. There's a lot of tough stuff in Theo's life -- from drugs and drinking to abuse and abandonment -- and Colbert handles it all with grace, never preaching. When I closed the book after the last page, I found myself staring at the cover, savoring the story and marveling at how much of it had been there for me to see at first glance. 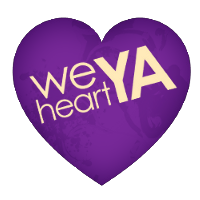 I'm thinking about that feeling again now because (A) POINTE is a story that will stay with me for a long time, and (B) next week we're doing something we've never done before at We Heart YA. We're hosting a cover reveal! So be sure to check in on Thursday June 19th to see the amazing cover of MY HEART AND OTHER BLACK HOLES by Jasmine Warga, who is a dear friend of mine. It's brilliant and beautiful and fun, and I can't wait to share it with all of you. I definitely agree with you guys. Now that I've finished Pointe, I'm wondering why I didn't expect it to be as dark as it is because the cover represents the story well, which is something you can't say for too many YA novels.